A Sign of the Times in Meanwood! 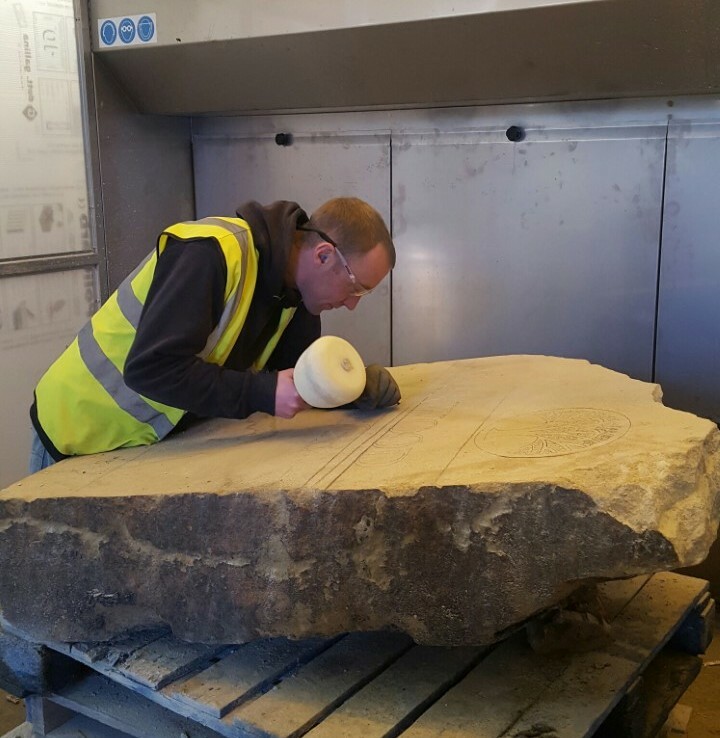 Meanwood continued to reinforce its unique identity last month when a carved sandstone block, donated by us, was placed in the heart of Meanwood. 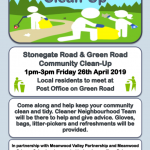 The piece of land at the junction of Green Road and Stonegate Road was previously an overgrown and scruffy area before the Meanwood Valley Partnership decided to do something about it. 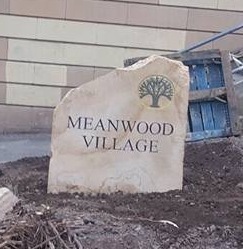 Chris Sheard, the Partnership’s Chairman and driving force behind the project, explains ‘Nestled between Headingley and Moortown, Meanwood tends to get overlooked, but it’s a vibrant place with its own identity, recognised more and more as a great place to live. We want to continue to enhance the area wherever we can and this was an obvious opportunity’. 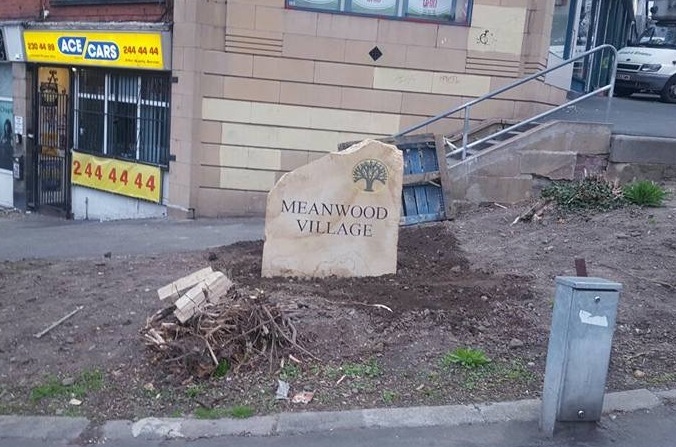 Leeds solicitor and landowner Rodney Lester kindly gave the Partnership permission to improve the area and place a stone showing the central Meanwood Village location. 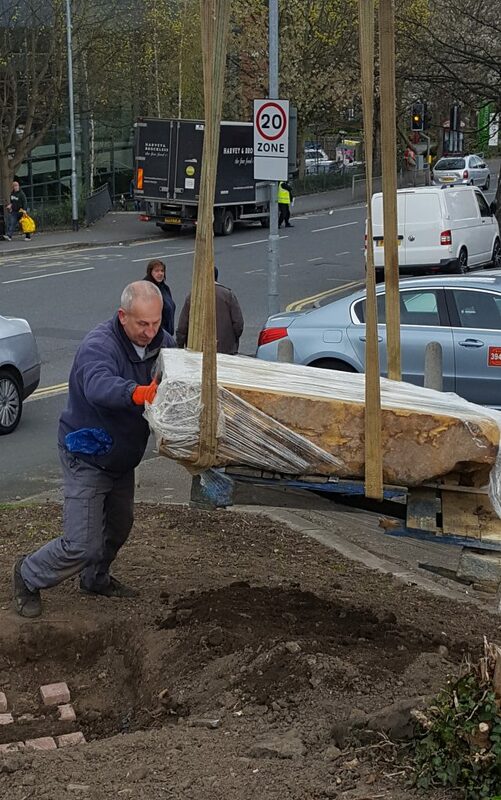 ‘We’re really grateful to Nigel Lees of Dunton & Lees Garden Services for volunteering his time to clear the area of scrub and prepare the ground’ continued Chris, ‘Stone carver Ben Whitehead did a brilliant job on the stone, crafted by Mone Brothers, and very early one April morning local builder John O’Riordon positioned the stone ready to be surrounded with beautiful planting by Nigel’.